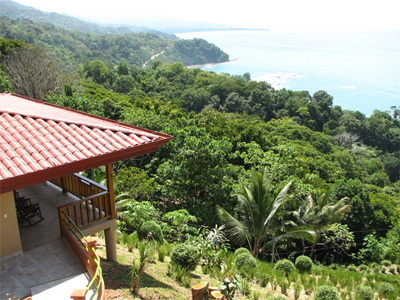 Villas Alturas befindet sich in den Hügeln, 7 Kilometer Südlich von Playa Dominical, 50 Minuten südlich von Quepos Airport, 45 Minuten nördlich von Palmar Sur Airport und 10 Kilometer nördlich von Uvita entfernt. Mit einem spektakulären Blick auf das Meer und die Isla del Cano. Villas Alturas besteht aus sieben einzelnen deluxe Villen. Villa Nr. 7 ist behindertengerecht mit entsprechendem Zugang zum Pool. Jede Villa verfügt über einen spektakulären Blick auf das Meer und Punta Uvita. Die Villen sind komplett eingerichtet mit allem, was Sie benötigen für einen erholsamen und angenehmen Aufenthalt. Wir haben All-Inclusive-Pakete für größere Gruppen. Ein Helikopter-Shuttle steht am San José Flughafen zur Verfügung. Es gibt eine Vielzahl von Vögeln rund um die Villen, darunter auch Tucane. Kapuzieneraffen kommen oft auf der Suche nach Futter vorbei. Am Morgen hört man aus dem Wald die Brüllaffen. mit mehrerne Korallenriffe voller tropischer Fische. view of Isla Del Cano biological reserve in the distance. 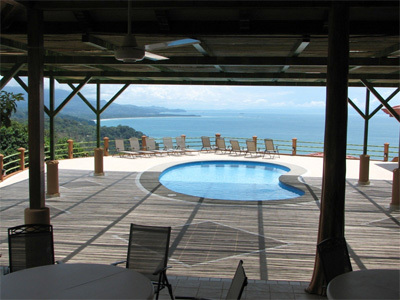 House for easy access to the bar,restaurant and pool..
Each Villa has a spectacular ocean view of the ocean and Punta Uvita (also known as the Whales tail). available for your use Chef available. Spa available. 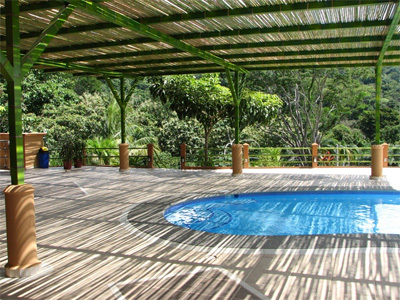 Wheelchair Accessible Holiday Rentals All of the above makes Villas Alturas ideal for a corporate retreat , family reunions Etc etc. As an alternative to self catering holiday we have all inclusive packages for larger groups. Helicopter Shuttle is available from San Jose Airport to Villas Alturas. monkeys in the forest above. which is in the top six most beautiful beaches in Costa Rica . 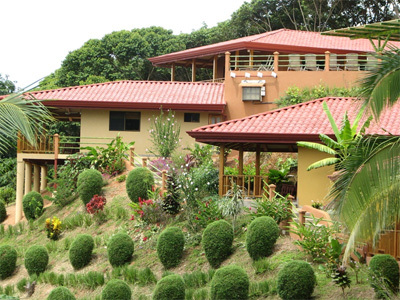 Banco Costa Rica in Uvita. Gateway of the Osa Peninsula. 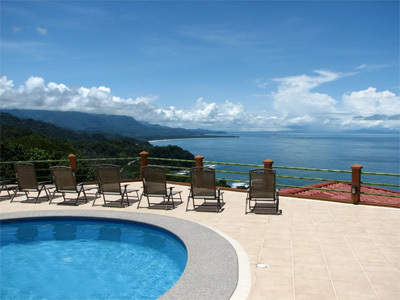 Jutting out into the Pacific Ocean in the southwest corner of Costa Rica, the Osa Peninsula. Pacific waves meet tropical rain forest in the Osa Peninsula. 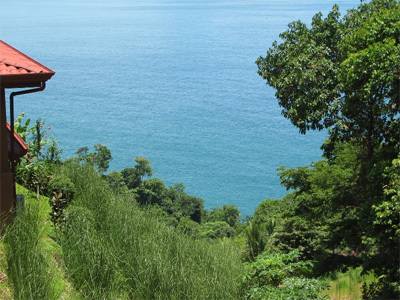 Hiking Tour In Corcovado National Park. Snorkeling At Caño Island Biological Reserve. Snorkeling & Kayaking At Marino Ballena National Park. Scuba Diving at Caño Island Biological Reserve. Whale and Dolphin Watching Tour. Corcavado & Caño Island At Sirena Biological Station. Are some of the tours and places you can enjoy. Close by there are horse back waterfall tours and sightseeing tours. Uvita has several grocery stores and restaurants. few more of the many activities. 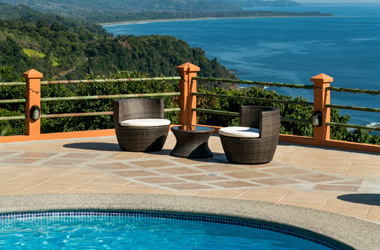 Or you can relax in the pool and enjoy the view.